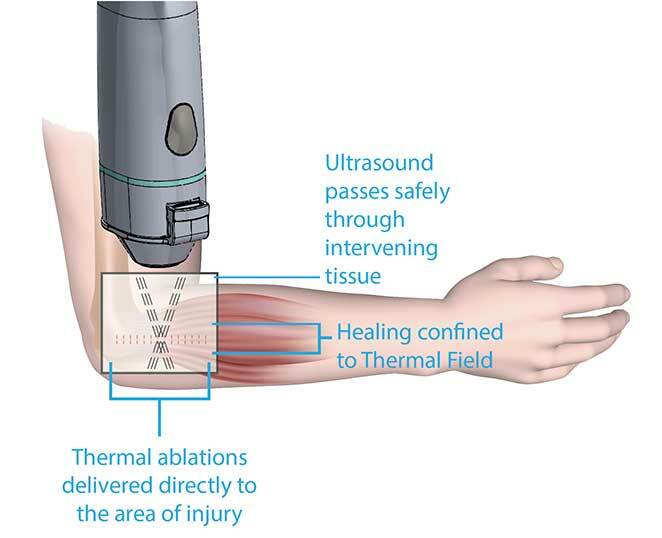 Intense Therapeutic Ultrasound (ITU) from Guided Therapy Systems acts like an invisible scalpel – working beneath surface of the skin – precisely delivering energy to desired depths within the body. As a result, our technologies are providing new and safer treatment options for patients and consumers without the downtime and complications associated with traditional surgeries and invasive procedures. Our ITU technologies capitalize on the fact that as an acoustic wave propagates through tissue, part of it is absorbed and converted to heat. When tissue temperature is raised sufficiently, the tissue is thermally affected or coagulated. GTS devices combine compact design, depth and precision to enable clinical approaches previously unavailable. Our professional-level technologies offer physicians the unprecedented ability to image and treat with the same equipment, allowing them as needed to target and evaluate tissue; and our home-use devices provide consumers with professional-level results via hand-held devices that are affordably priced for the over-the-counter market.